Don’t leave home without a Hug and a Goodbye! 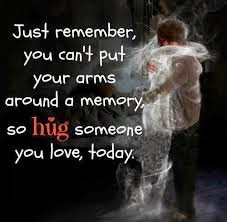 Every time you leave someone who matters to you, at home or at work, take an extra minute to say good bye, to hug even if you don’t always do. This minute costs nothing but can mean everything. As the families of the 239 people who were on board MH 370 come to terms with their new reality, pronounced in an understandably painful, yet inevitable, way by the Malaysian Prime Minister Najib Razak yesterday, we can’t but pause and reflect on how we want to live – and love – in the time that we have left on the planet. Death is a certainty – unavoidable and inescapable. In fact, it is the only certainty in Life. All of us know this. But we often still struggle to come to terms with it. And one of the reasons we struggle is because we, subconsciously, take it for granted that death won’t come calling on us or will not touch our lives anytime soon. It’s wishful thinking. It is steeped in the fallacy of imagining that we have all the time in the world. The reality is, we don’t. Now is the only time we have. A cousin was dying of cancer. He struggled for many, many years. His wife was tending to him dutifully and compassionately, lovingly, all those years. Yet when he passed away, she said, her only regret was that she could not bid him a final goodbye. She was so caught up in rushing him to hospital as his vital parameters sank that when the end came, she was just dumbfounded. She perhaps still carries that regret. Think about it. If there’s so much regret when death and separation come announced and forewarned, then what happens when it’s sudden? No, I don’t want you to think of death and separation each time you part with someone who matters to you or who you love. That’s morbid. Let’s think positive. Think lovingly. Learn to part carrying their warmth in you. And leaving some of yours with them. And if there is a possibility of reconciling with someone you have had an issue with, reach out if you can, and if you believe your initiative will be accepted. And if a reconciliation is not possible, spend a minute praying and sending positive energy to that person daily. This is a simple, healing act. It will dissolve, over time, all acrimony in you. 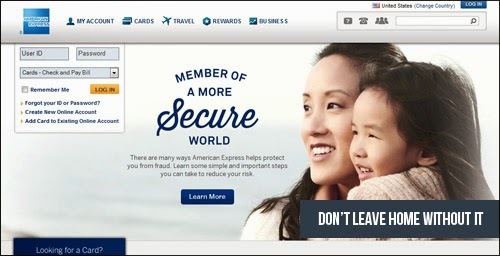 Since 1975, American Express has run a very successful ad campaign, which is rated as among the world’s top campaigns of all time, that says: “American Express – Don’t leave home without them!”, first promoting their Traveler’s Cheques and then their Credit Cards. I believe it’s time now, in today’s rat race-ridden world, to run a global heat-warming campaign saying “Don’t leave home without a hug and a goodbye”! Life is too short to be spent ruing over something that you could have done but never did. Especially if it is something so simple, doable and meaningful like saying a goodbye and giving a hug! Author AVIS ViswanathanPosted on March 25, 2014 March 14, 2016 Categories "Don't Leave Home Without Them", American Express, Art of Living, http://schemas.google.com/blogger/2008/kind#post, Hug, Inner Peace, Intelligent Living, Malaysian Airlines, MH 370, Najib Razak2 Comments on Don’t leave home without a Hug and a Goodbye!